The Liberal Coalition and Labor both want you to think that a vote for our party, or an independent candidate, is a wasted vote. Nothing could be further from the truth, writes Greens Senator Lee Rhiannon. There are hundreds of thousands of Australian voters who think the Greens have the better policies on issues such as climate change and refugees, but they end up voting for the Labor Party instead. They do this out of fears arising from a lack of understanding of the preference voting system used for the House of Representatives. This mindset also holds back the Greens’ Senate vote. The crux of the unfounded fear for many progressive voters is the false belief that voting for the Greens ahead of Labor may somehow help the Liberal/National parties win the lower house seat and government. Of course, if the Greens dropped out of the count and it came down to a contest between the Labor and Coalition candidates as it usually does, any voter who had given the Greens their number 1 vote and placed the Labor candidate ahead of the Coalition, would have their vote allocated to the Labor candidate at full value when Greens’ preferences were distributed. There is no wasted vote in that. It is a safe way to send a message to Labor and help stop the Coalition candidate being elected. The wasted vote myth also damages the vote of other minor parties and independents. It artificially props up the vote of the major parties. So many voters who do not understand how their preferences would be allocated are reluctantly voting for a major party when other viable options are available to them. Malcolm Turnbull has been pushing the ‘don’t waste your vote’ scare tactic by arguing a vote for a minor party or independent could result in a Labor government. The statement is designed to frighten wavering Coalition voters into sticking with the government and giving it a primary vote. 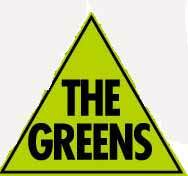 In the case of potential Greens voters, Labor is the big beneficiary of the wasted vote myth. There is no polling on how many voters believe the myth, but anecdotal evidence from polling booths over several decades suggests that it is a huge number of voters. A rough estimate of the number of Labor/Greens swinging voters is as high as 5 – 15 per cent of voters depending on the local electorate, and many of those are susceptible to the myth. Once they have succumbed to the fear induced by the false analysis of the wasted vote myth, this misunderstanding often carries through to hurt the Greens’ Senate vote too. Many of those voters reluctantly follow a major party how to vote card for both houses of parliament. The impact is not just confined to Coalition/Labor marginal seats. As election day approaches and campaigning becomes intense, more voters bend to the fear generated by the myth, particularly if the election is perceived to be close. Along with saturation media coverage for the major parties, it is a significant reason why the Greens vote regularly drops a per cent or two in the final week of election campaigns. A typical example from pre-poll voting this week was a woman in a safe Labor seat who indicated to our Greens booth worker that she liked the Greens, but was going to vote for Labor instead and number the Greens 2 because “it’s a close election”. Clearly there was little understanding of the preference system. That sort of scenario is common across the nation. Few voters understand how their vote works when it comes to the allocation of preferences. When a Greens booth worker does get a rare chance to explain and the voter understands, often they are reassured, and say they will now vote for the Greens and allocate a preference to the major party they dislike the least. If more Australians were able to see through the myth it would really give the big parties a shake. Effective exposure of the wasted vote myth would significantly change Australian politics.